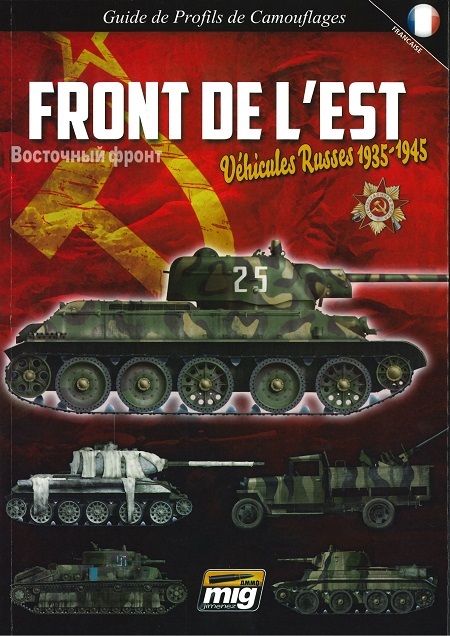 In this book you will find all the inspiration you can not do to make the Soviet vehicles both classic and never seen thanks to the variety of colors, effects and camouflage. This book intends to cross over 80 pages, that the Soviet vehicles of the Second World War were not only slopes in green. More than 180 profiles strictly based on historical photos, many of them never seen before, for all periods in depth. The book includes precise information for each of the vehicles illustrated, as well as a technique of introduction to Soviet painting of the time, particularly as regards its chemistry and its application. All this information was obtained by studying the sources provided by the former countries of the USSR. Here is the ultimate guide to Soviet colors over the period from 1939 to 1945.